If you're trying to lose weight, green tea contains substances that may help boost your efforts. Lipton brand offers a number of different types of calorie-free and diet green teas, but some may be more beneficial than others when it comes to managing weight. Consult your doctor to discuss how Lipton green tea fits into your diet plan. To lose weight, you need to create a negative calorie balance by eating less or burning more calories with exercise. The caffeine and catechins - a type of phytochemical - found in green tea increase your body's calorie-burning capabilities, according to a 2013 article published in The American Journal of Clinical Nutrition. A 2012 review study published in the Cochrane Database of Systematic Reviews reported on evidence that green tea does in fact help people lose weight, although the amount is statistically not significant. However, the authors of The American Journal of Clinical Nutrition article noted that green tea may help provide the boost you need to prevent a positive calorie balance and weight gain. Diet Mixed Berry Green Tea is the only diet green tea that the Lipton brand offers. This tea is calorie-free and contains a number of ingredients in addition to green tea, including aspartame, citric acid, sodium hexametaphosphate and ascorbic acid, which is vitamin C. Diet Lipton Mixed Berry Green Tea also has 9 milligrams of caffeine per 8-ounce serving, but doesn't specify the amount of catechins. Although diet green tea from Lipton is calorie-free, as an artificially-sweetened beverage, it may not make the best choice if you're trying to lose weight. According to a 2010 review study published in the Yale Journal of Biology and Medicine, epidemiological evidence suggests an association between the intake of artificial sweeteners and weight gain. The authors of the study noted that artificial sweeteners increase cravings for sweet food and may lead to poor, higher-calorie food choices. The Academy of Nutrition and Dietetics says that artificial sweeteners are OK to include in your diet as long as they are part of an overall healthy diet. Although not labeled as diet, Lipton Green Tea bags brew tea that is calorie-free, which makes it an ideal beverage when you're watching your weight. The tea bags are available in regular, decaffeinated and an orange passion fruit jasmine flavor. According to the University of Maryland Medical Center, a cup of brewed green tea, both caffeinated and decaffeinated, contains anywhere from 50 to 150 milligrams of catechins per serving. The amount of caffeine in a brewed cup of regular green tea ranges from 9 to 50 milligrams. 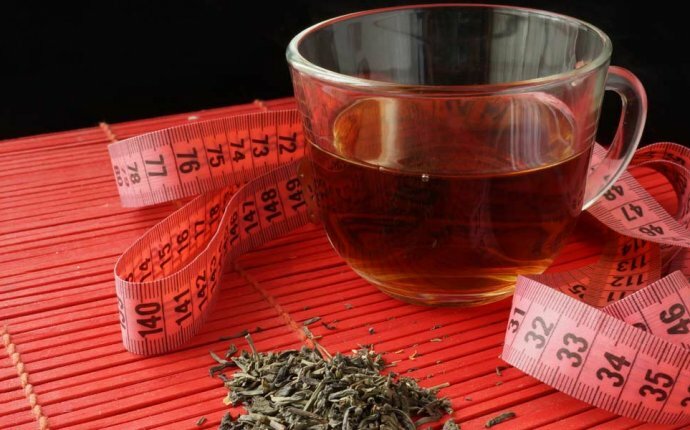 As calorie-free beverages, both the diet Mixed Berry Green tea and the green tea bags make good choices for those trying to manage their weight. However, if you're trying to get the added calorie-burning benefits from the caffeine and catechins in green tea, you would be better off drinking the tea from brewed tea bags. Add sugar substitute or a teaspoon of sugar or honey to your brewed tea if you like it sweet. Be sure to track the calories if using a full-calorie sweetener. The tea bags can also be used to make iced tea. Although filled with health-promoting nutrients, green tea is not for everyone. UMMC warns that people with heart, kidney or liver problems, high blood pressure, stomach ulcers, anxiety or psychological disorders should not drink green tea, as well as women who are pregnant or nursing. Green tea interacts with a number of medications, including heart medications, antibiotics, sedatives, blood pressure medications, blood thinners, chemotherapy, mood-altering medications, birth control pills and others. If you're on any kind of meds, check with your doctor before drinking green tea.